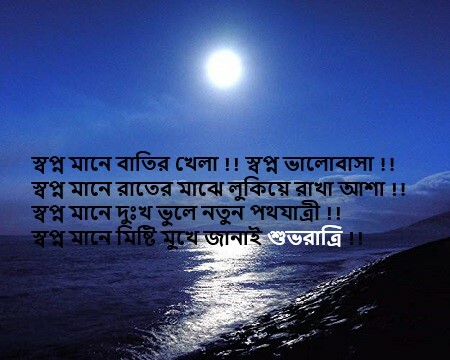 Good night sms in bengali and good night images in bengali is here. 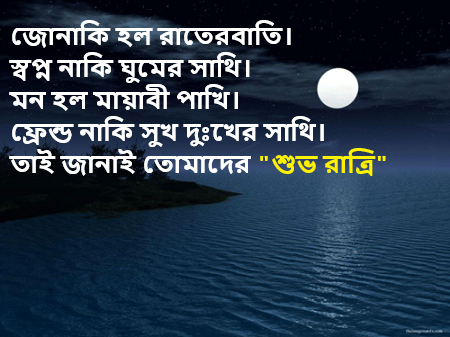 In this post you will get many good night sms in bengali which you can share with your friends. So You can post these sms, images and status on your Facebook timeline. These sms and images posted here for all peoples who like bangla wishes. All bangladeshi and bengali language user like to wish in bengali. So from here you can collect your favorite sms and wishes for good night. 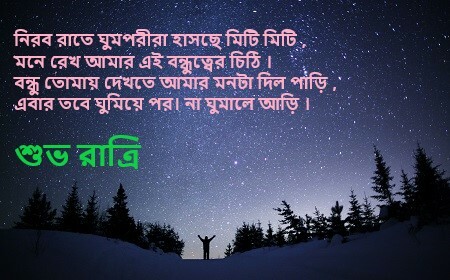 Kichu manush valobase, kichu manush sopno badhe. kichu manush adhar rate, cader sathe kotha bole. kichu manush dukkho pose, kichu manush kosto khoje. kichu manush jostna rate, ekaki hoye chokher jol fele. chokher simanay keu ki dake, nischup govir mayay. 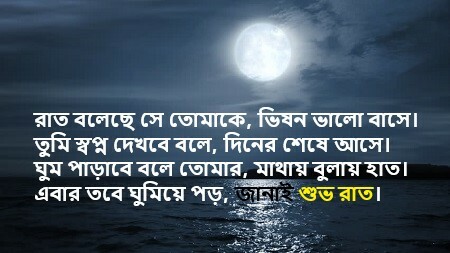 sopno mane misti mukhe janay shuvo ratri…..
mone rekho amar ei bondhutter chithi. bondhu tomay dekhte amar monta dilo pari. ebar tobe gumiye poro, na gumale arri. e kotha jodi se janto. keno mon aj dishe hara. ami achi bindas ar tomrao theko valo.